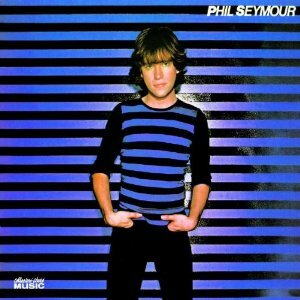 Former Dwight Twilley Band member and Tom Petty session man Phil Seymour’s first solo record in 1980 produced one hit single–the #22 “Precious to Me”–and one non-single that was equally good, “Baby it’s You”. From 1979 into the early 80’s we saw a brief streak of chart success for this particular strain of lean, uptempo power pop as Seymour, Twilley, Marshall Crenshaw, Nick Lowe, Shoes and The Knack all got a moment or two to shine before the synths took over. By the mid-80’s Phil Seymour was diagnosed with lymphoma, and the disease took his life in 1993 while he was working on a new album.